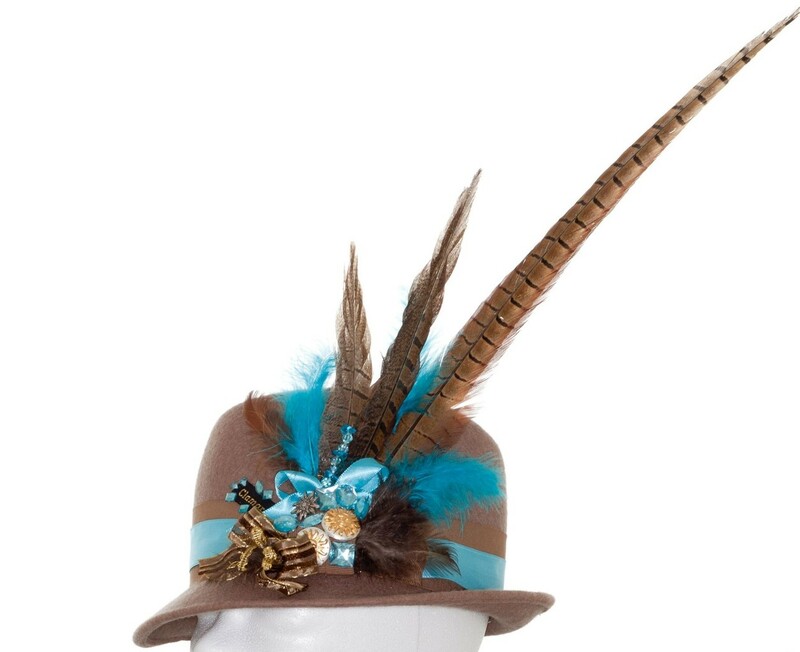 brown/ turquoise felt hat stocked with high fashioned jewellery. 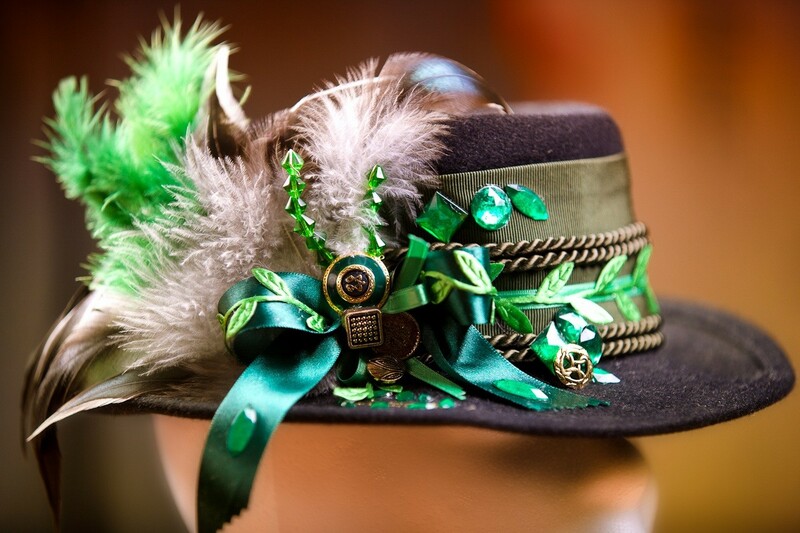 black felt hat with green jewellery and feathers. pink felt hat with green jewellery design and pheasant feathers. 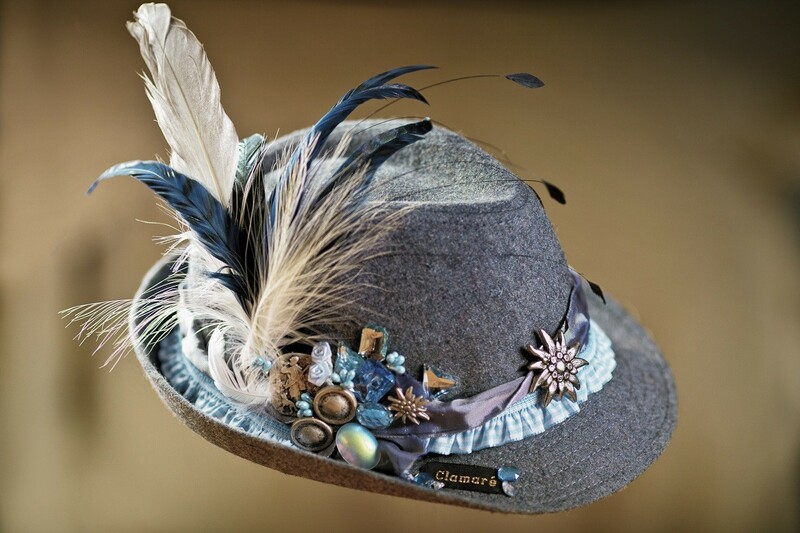 gray felt hat with light blue and silver jewellery design and feathers. 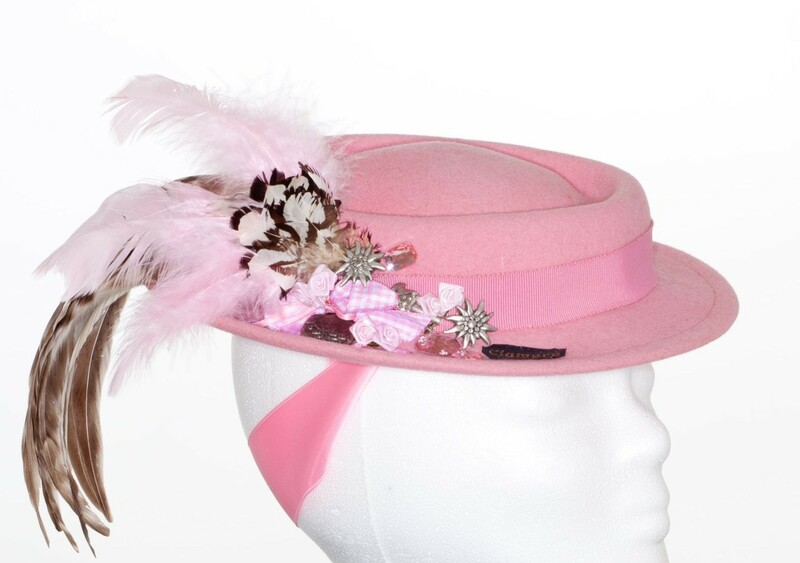 exclusive pink Clamaré Hat with high quality jewellery design and feathers, satin ribbon to tie down. 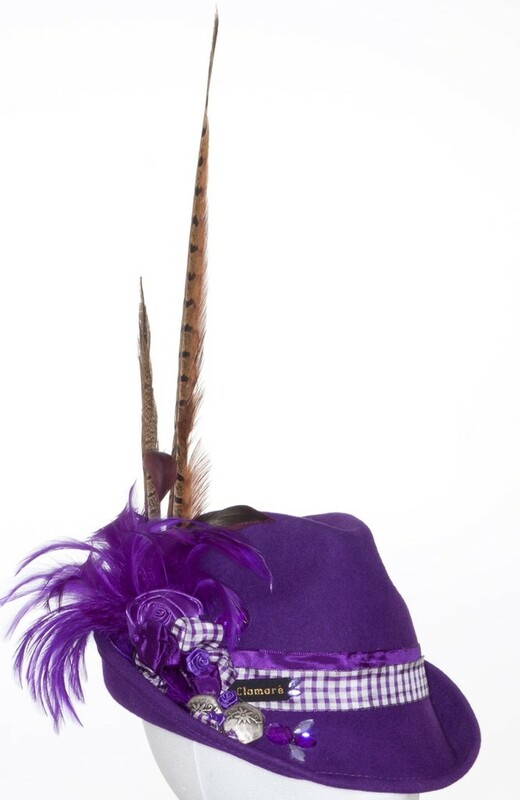 exclusiv bright purple Clamaré hat with green jewellery design and feathers. Green satin ribbon to tie down. You can bind it lalaterally. 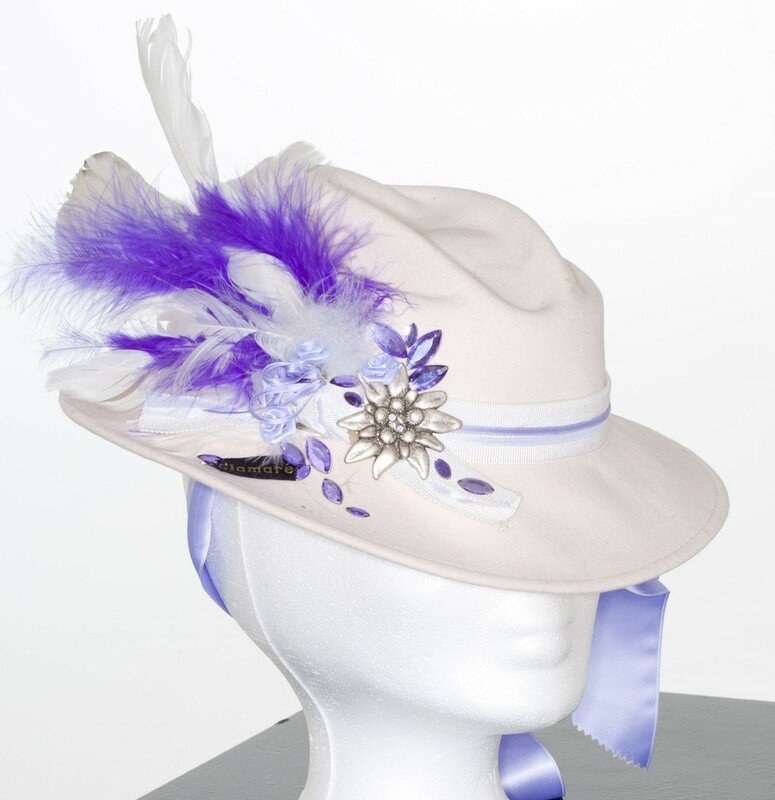 exclusiv Clamaré Hat cream colour with purple feathers and jewellery design. 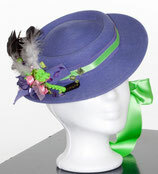 Purple satin ribbon to tie down. 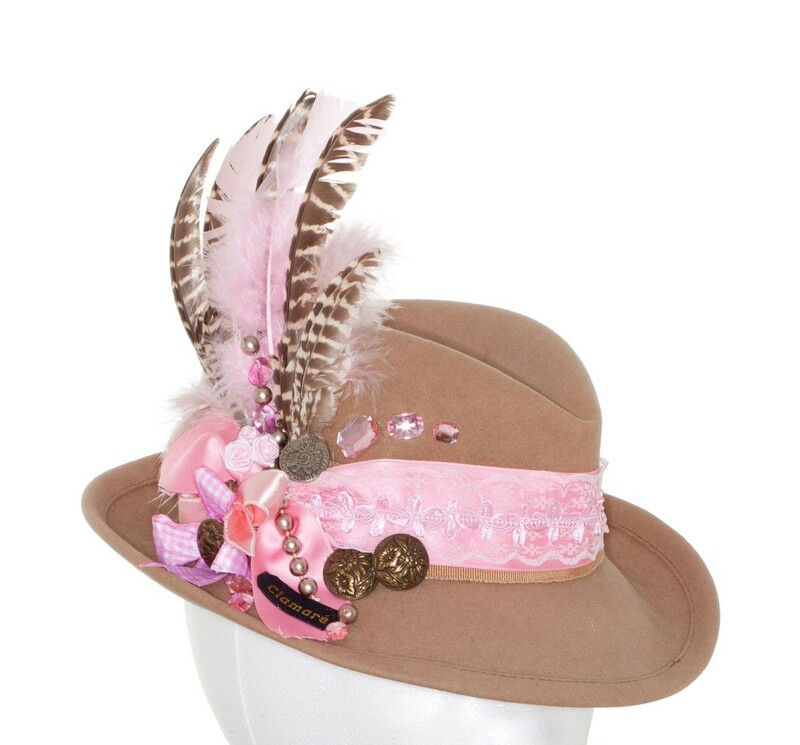 You can bind it laterally. 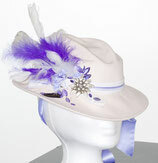 exclusiv purple Clamaré Hat with pink jewellery design and pheasant feathers. 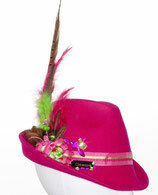 exclusiv pink fur felt Clamaré Hat with pink jewellery design pearls and feathers. 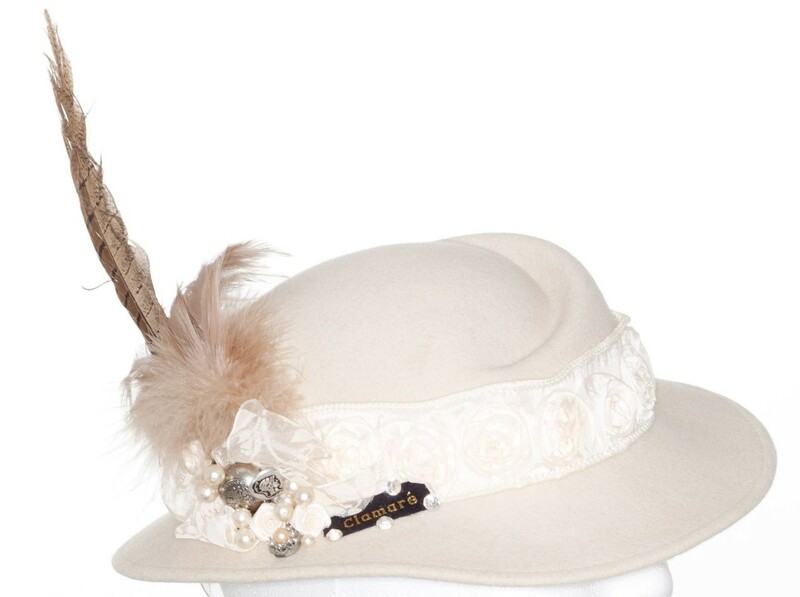 exclusiv beige fur felt Clamaré Hat with pink jewellery design, pearls, innks feathers and pheasant feathers. 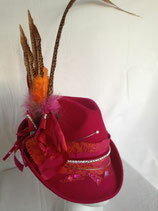 exclusiv red fur felt Clamaré Hat . 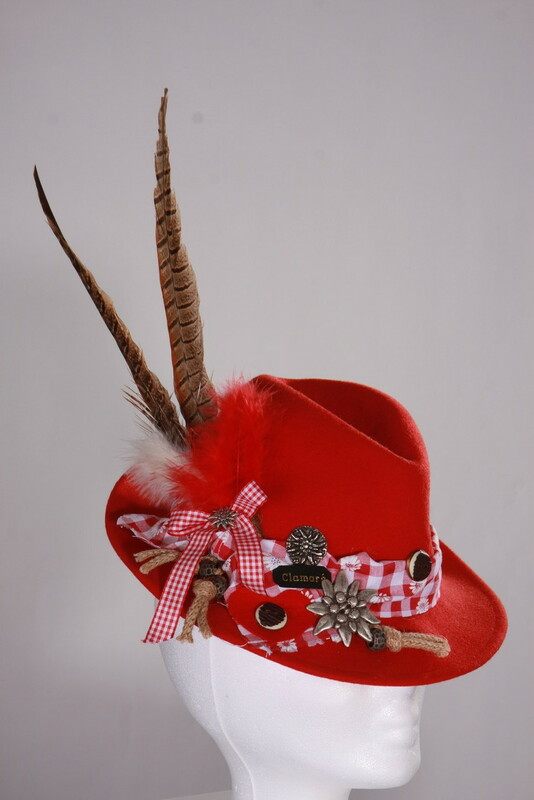 With bavarian red/white and silver decoration, big silver edelweiss and pheasant feathers. 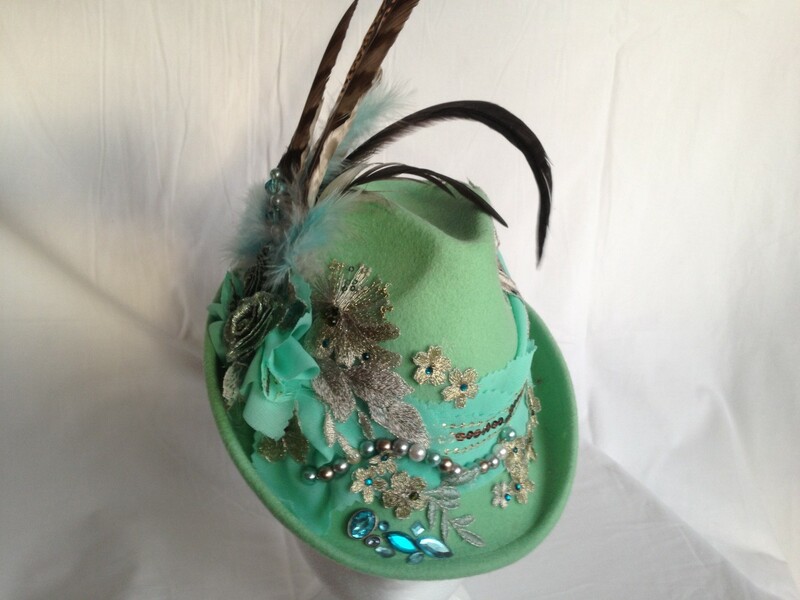 exclusiv mint green fur felt Clamaré Hat with green/silver roses, pearls, and Swarovski stones, green and pheasant feathers. exclusiv fur felt Clamaré Hat coloured pink. 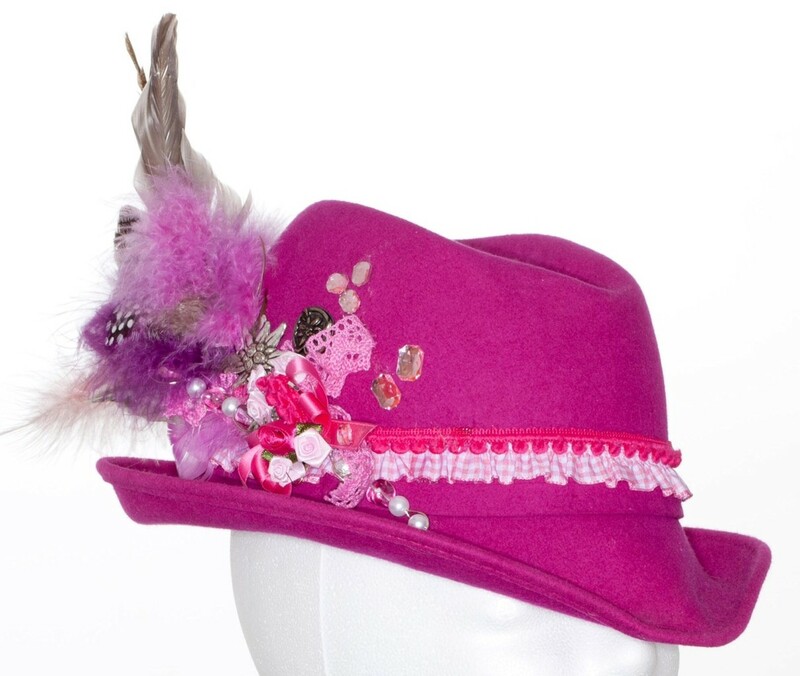 High quality jewellery design and Swarovski stones , pink and pheasant feathers. 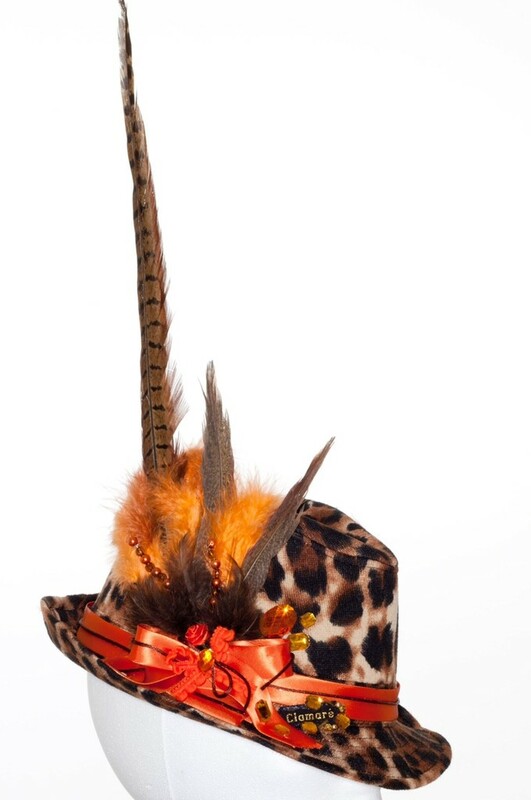 exclusiv Clamaré Hat with leopard print, orange jewellery design and long pheasant feathers. 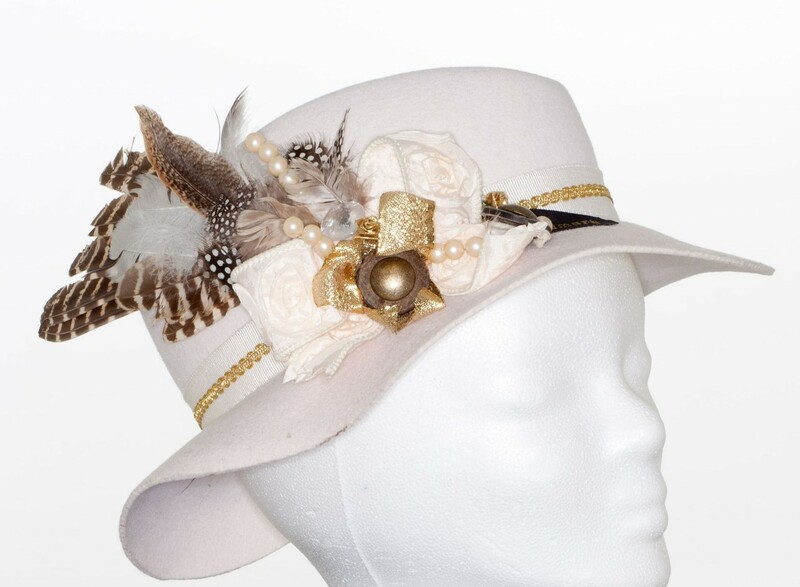 small Clamare Hat creme with pearls and a blossom ribbon to tie down. You can bin it laterally. 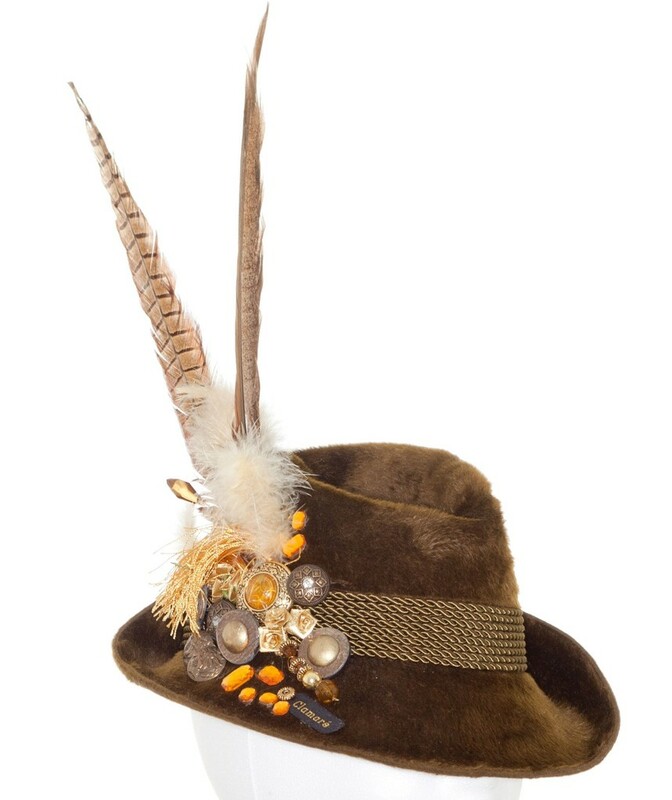 exclusiv Clamaré Hat creme with golden jewellery design and pheasant feathers. Naturweißer Trachtenhut, in Haarfilz mit goldenem Hutschmuck und Fasanenfedergesteck. 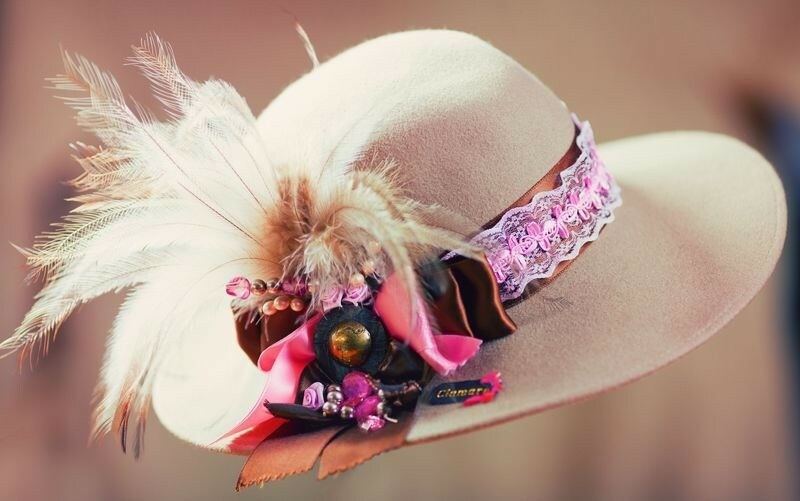 exclusiv fur felt Clamaré Hat beige with pink jewellery design and emu feathers. 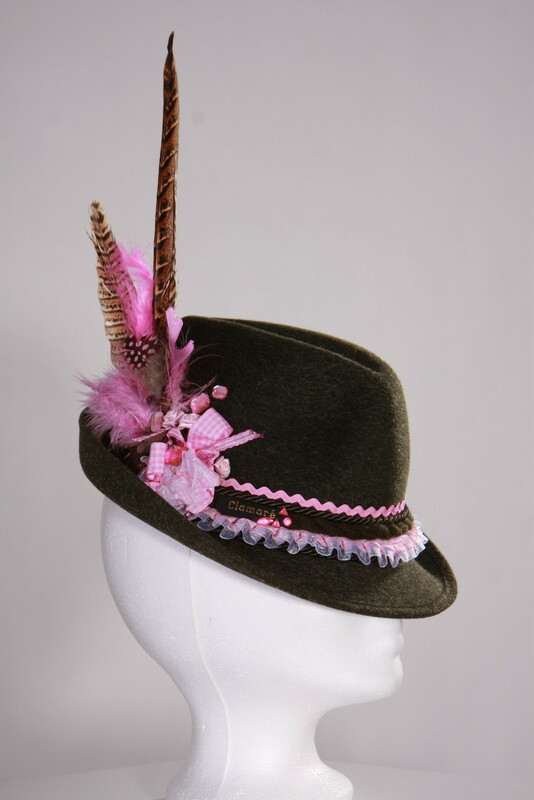 exclusiv dark green felt hat with pink jewellery design and pheasant feathers. 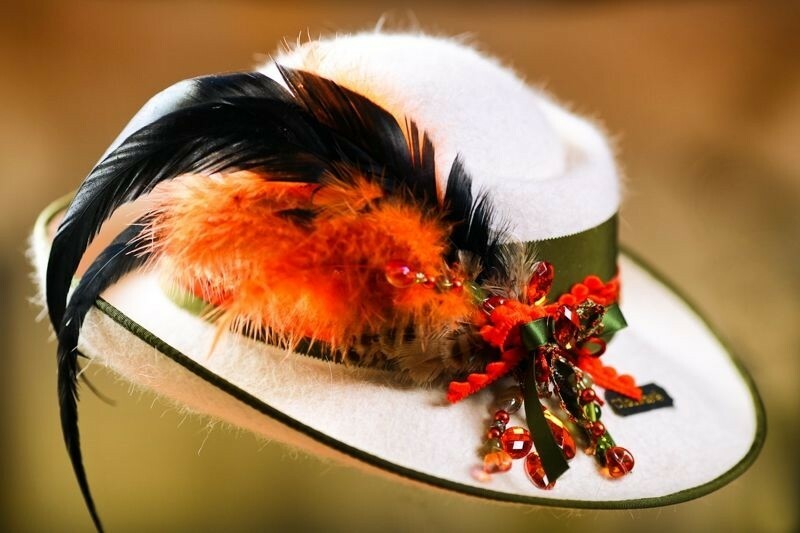 white and green fur felt Clamare hat , orange jewellery design and feathers. 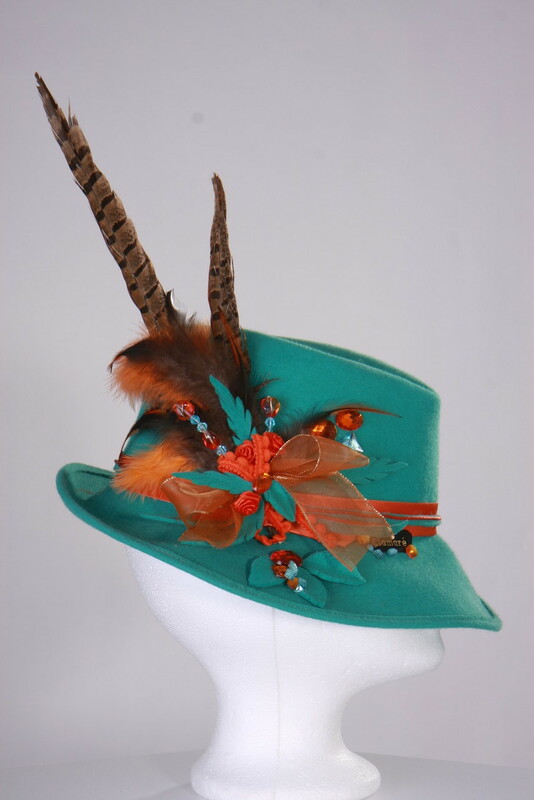 turquoise fur felt Clamare hat with orange/turquoise jewellery design and pheasant feathers. 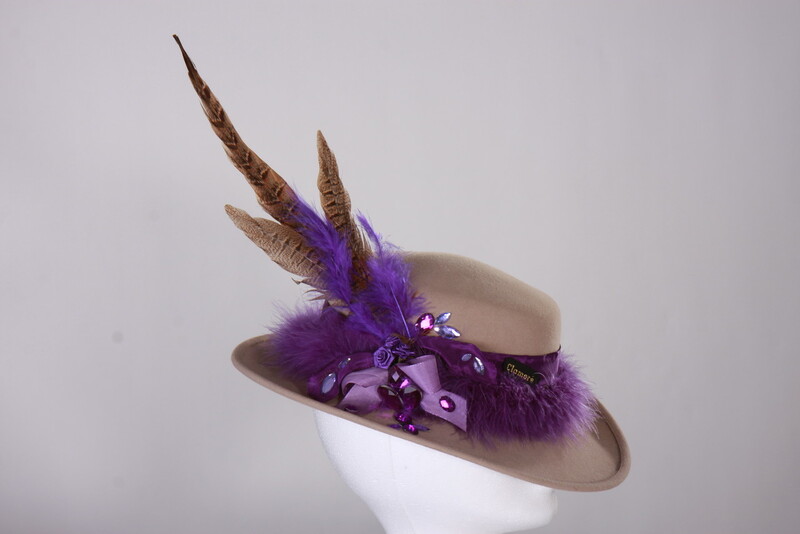 exclusiv beige fur felt Clamare hat with purple jewellery design and long pheasant feathers.